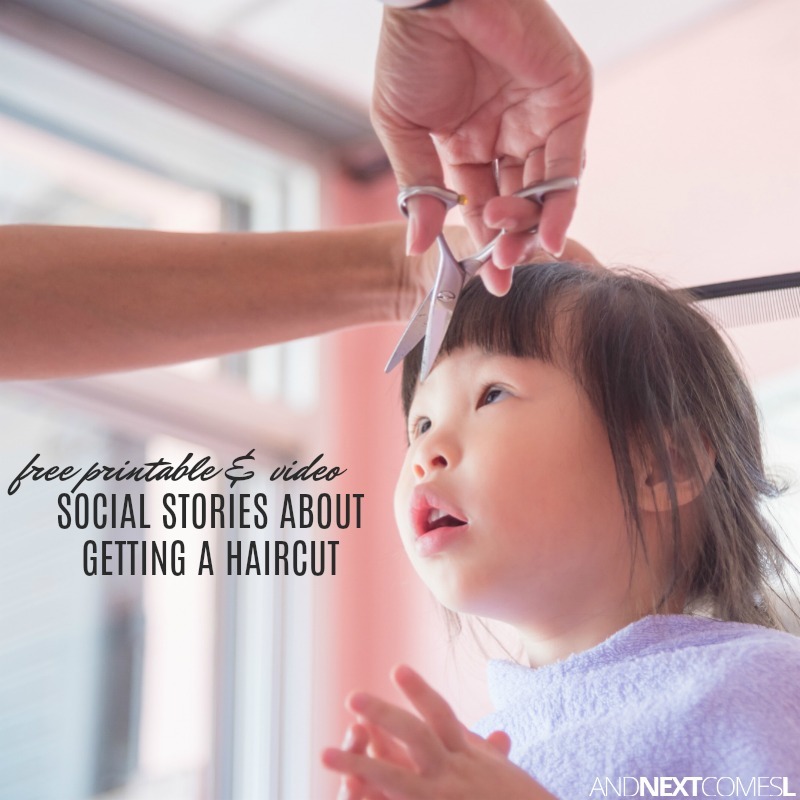 A collection of free social stories about getting a haircut including some free printable social stories for kids. Getting a hair cut is a big deal to kids with autism or sensory issues. Many families struggle to find a hair stylist who is understanding and patient. One who can understand the sensory sensitivities that go along with getting one's hair cut. We personally cut our boys' home ourselves at home, but I remember how difficult those first few hair cuts were when J was a toddler and a preschooler. We would have to cut for a little bit, pause, and repeat over and over. It's a lot easier now, but there are still challenges we face when cutting his hair. Repeating the steps over and over to J is helpful and tells him how much longer I will be cutting his hair for. Basically, we are using a verbal social story these days with him. However, below you will find lots of free social stories about getting a haircut that will hopefully make the whole process easier for your child and your family. Whether you want to write your own social story or you want to save time and print one, these free haircut social stories are a great starting point for helping your kids with getting their hair cut. 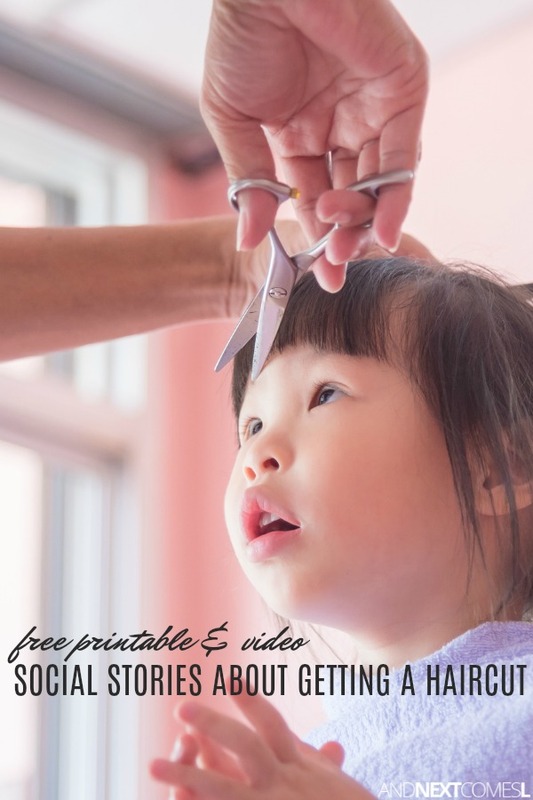 These stories will walk your child through what to expect when getting a haircut, why they need to get a haircut, and what to do during a haircut. I hope you can find one that is helpful for your child! Example Text Only Haircut Social Story from Raising Children - There are lots of great tips here as well!